And then the interview was over. As quickly as it all began, each panelist knew they could go no further with this candidate for hiring. In retrospect, each panelist admitted his answers had all been quality responses. However, his details were alarming. This candidate had not only done his research on the company, but he had also researched each of us. No detail was spared. If it was on the Internet, he brought it up. He referenced our children, the schools they attended, the sports they played and even our pets. The interview did complete its course, albeit at a very stilted pace with highly concerned and wide-eyed panelists. As the elevator shut behind him, we each rushed to our computers and quickly set every personal social media site to the highest security level possible. We are all familiar with the tricks of the networking trade. We know the common adage “It’s not what you know but who you know.” Social media provides the quickest way to tromp through information that once took years to glean. You can now find out with a few simple clicks a world of information. Websites like Facebook, Twitter and LinkedIn provide endless opportunities to network, but information must be handled delicately. Networking is a necessity. Professionals capitalize on any opportunity to enhance networking skills. However, with the advent of such powerful networking platforms, we must be responsible owners of the technology. A brief search on the Internet will garner a wealth of information on professional networking techniques. 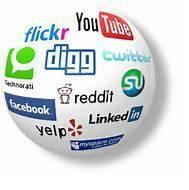 Several recommendations promote the use of social media to gain tidbits about your potential employers or partners. These lists encourage the use of social media with no common restraints. The following are a list of suggestions on applying social media networking to your professional field. Use technology wisely—as was the case of my interviewee, research is highly beneficial. But know when to share information and when to stop. Search for background information on potential business partners or future employers. Explore the newest products of the organization you are trying to engage. But know your limits. There is a difference between knowing a potential new business partner needs a refreshed marketing strategy and knowing that they posted 300 pictures from their latest camping trip online. Apply business etiquette to the Internet—are you looking for an edge up on the other candidates? There are several ways to gain advantages. Is your mouse hovering over the “Send Message” button? The Internet can lead to a false sense of security. Barriers disappear. Do not be lulled into this trap. It is never a good idea to add interviewers as connections on social media, especially before an interview has commenced. Do not send private messages through these platforms either. Follow-up or introductory emails are acceptable if they are sent to the person’s professional account. Once, I received an invitation to “connect” with someone I thought I knew. The invitation contained a private message where the person asked for special tricks to get the manager to notice them. This was creative. However, I was the hiring manager. Two strikes against them and I had not even seen their resume yet. But, they did get my attention. Promote yourself or your company—your name will be searched by potential investors or future employers. Use your accounts to discuss the latest projects you work on with your company. Raise topics of interest in your field. Delete negative comments about work or embarrassing photos from college. If you want to share private information online, make your profile private. No employer wants to read that you are barely making it through another boring day at work. If you want to market yourself, be proud of your work and make it known. Be the person online that people want to connect with, not ignore. Keep your information up to date, fresh and relevant. Set boundaries—if it is your role to manage a workforce, set boundaries for how social media will affect your company. Typically, vertical connections between employer and employee online do not fare well. Horizontal connections between co-workers can be stable. It is not your responsibility to manage the social media accounts of your employees. However, it is your duty to know that this additional arena is ever-present in the mind of your subordinates. This can be to your advantage if handled properly. Research, research, research and filter—finally, before you walk into that next meeting or lead the next presentation, research your audience online but apply a filter. It is much easier and cheaper than hiring a private investigator. You are trying to build your network. The Internet can help you do that. Research company interests, how they volunteer employee time or how the CEO likes to manage the company. Use this to your advantage so that you can draw their attention to your presentation. But filter yourself. You searched for ways to connect with this individual or company. Now internally filter by asking these questions before introducing yourself, “Is what I am about to say going to be of interest? Is what I am about to say appropriate?” If your answer is yes, proceed. If it is no, consider a new tactic – a simple introduction is always appropriate. In conclusion, social media is a wonderful addition to professional networking. However, etiquette must be established for how to responsibly manage the information you can learn and what you can and should do with that information once it is gathered. The easiest advice is to use common sense. If your topic is appropriate for a presentation at work, it can be shared online. If you found out your boss loves seafood, then that sounds like a wonderful suggestion for the next business lunch. Author: Sarah Lawrence Johnston is a doctoral student in the department of emergency management at Jacksonville State University and is a disaster program manager with the American Red Cross. She can be reached at [email protected].